Before we look at constipation in infants, let's remind ourselves just what constipation is. Excessive compression on the head or neck leads to tension on the baby’s nervous system which in turn triggers digestion and elimination problems. 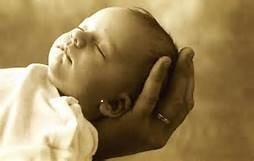 Craniosacral therapy can assist in helping your baby to recover from a heavy birth process which at the time was necessary for safe delivery. With the help of a craniosacral therapist the little head and spinal bones can slide gently into place freeing the vagus nerve which allows the baby to relax. Other problems clear up too! Baby is now happy to sit in their car seat, lie on their backs, sleep for longer periods and are happier and more content.